We hope your semester is going well. Salary: We were offered 1% as of July 1, 2017, plus an additional 1% in merit if the state reaches its revenue target of $27 billion. Fiscal year 2019 (2018-19): To be determined. Fiscal year 2020 (2019-20): To be determined. 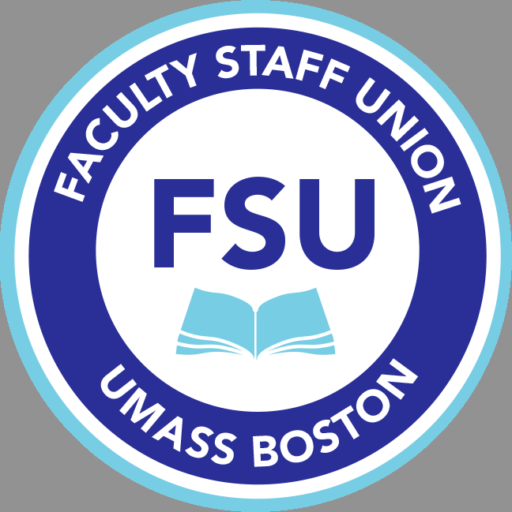 The FSU is working with a coalition of unions across the UMass campuses for higher salary increases, no take-backs; an additional .5% in addition in lieu of steps; and any merit in addition to a real cost of living increase. As always, a lot us going on. Please join us this Thursday at our bargaining update to give us your thoughts, or email us if you have not yet done so. The Faculty Staff Union will be updating bargaining unit members on contract negotiations, including parking. Join us next Thursday, March 22nd, 2-3:15 (location to be determined). Members of the FSU bargaining team will be on hand to provide you with the latest information and to answer your questions. 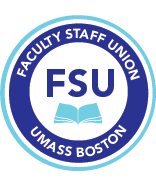 To see prior updates from the FSU on bargaining please go to our website: http://fsu.umb.edu/content/contract-negotiation-updates. NOTE: the original posting included a pdf document with incorrect information on the election results. That document has been corrected and is available below. Voting closed at 9AM this morning and the election results are in. Please fill out the parking survey before noon today if you have not done so already. You can also use the link below to get to the survey (see here for more details on the Administration’s parking fee increase proposal). Parking bargaining has begun and we need your responses to bargain this issue. Your responses will be anonymous unless you choose to reveal your name. Please fill out the parking survey if you have not done so already. You can also use the link below to get to the survey (see here for more details on the Administration’s parking fee increase proposal). Parking bargaining begins tomorrow (Wednesday) so please fill out this survey now. Our elections are down to the home stretch. Voting begins at 9AM Friday March 2nd and runs to 9AM Friday, March 9th. Thank you to all those who came to the candidate forum. The video of the forum is now on the FSU blog: http://fsublog.org/uncategorized/fsu-candidate-forum/. You can also view the candidate statements here.